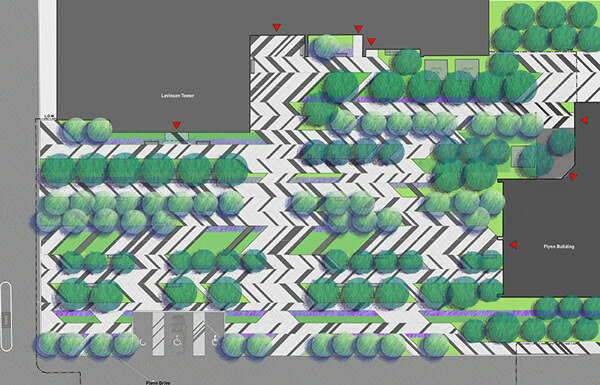 The paved areas within the garden are carved out of the grove to allow for direct access to major entry points and public transportation. 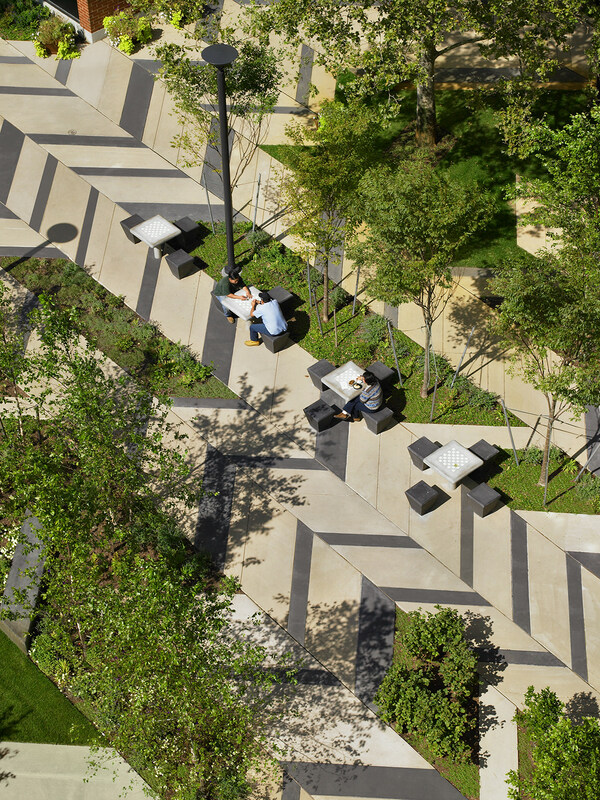 The durable pavement materials withstand harsh winters, while the herringbone pattern stitches the areas of gathering and passage together, bringing a human scale to this large space. 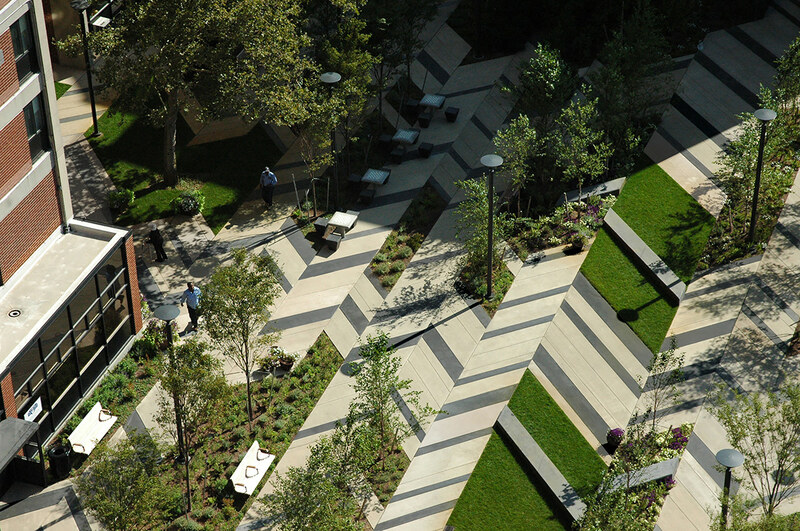 The layering of the canopy trees, plant beds and paved surfaces reinforce the unity and democratic nature of the plaza. 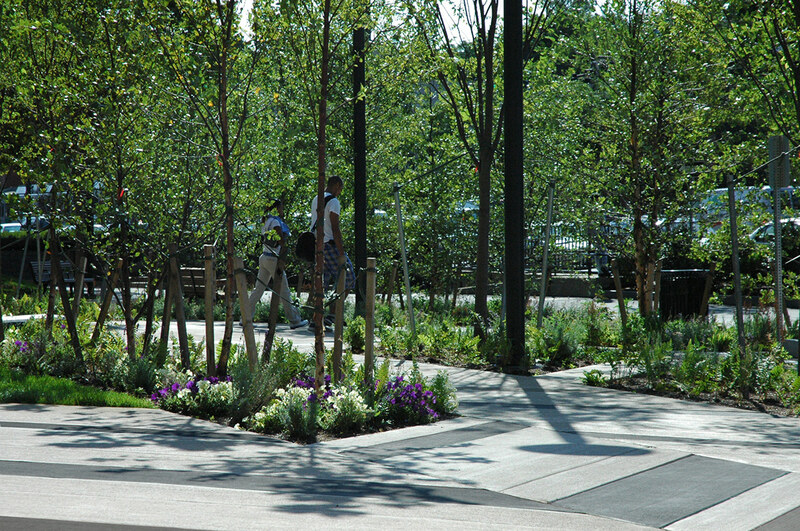 Envisioned as an urban grove, this central gathering space represents the convergence of a diverse community among mixed income, residential development. 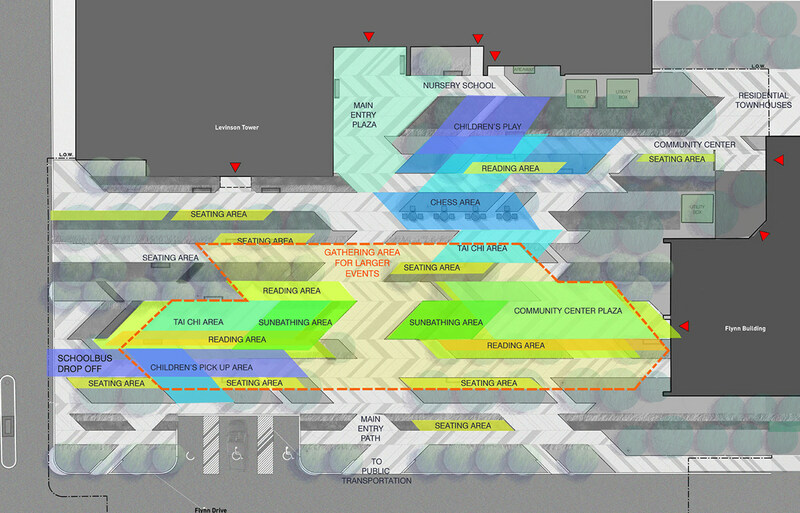 The design accommodates a complex program, layering the varied multi-cultural and intergenerational uses of the plaza with a number of meaningful gathering and recreational spaces. 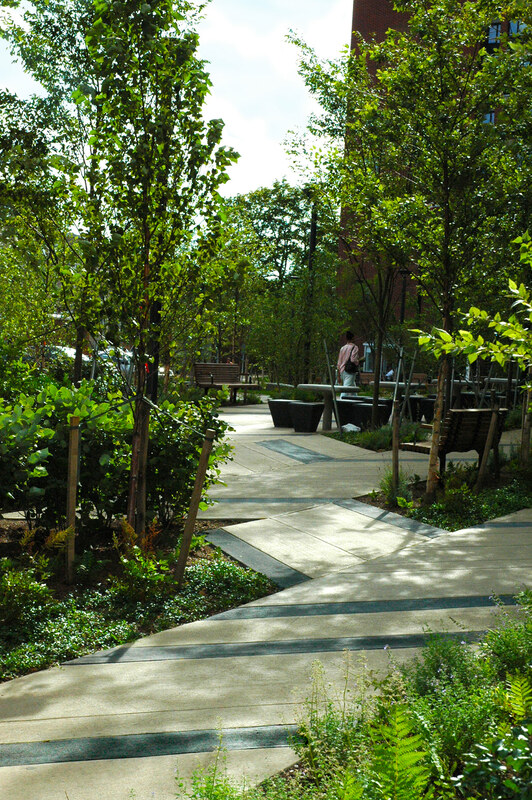 A rich plant palette creates garden rooms where multiple types of programmatic activities can occur simultaneously; lawn areas for tai chi, children’s play areas, and contemplative seating allow for residents to experience the garden spaces side-by-side in different ways.